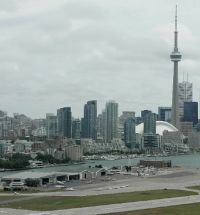 Porter Airlines for the first time is experiencing head-to-head competition at Billy Bishop Toronto City Airport. Under the brand name Air Canada Express, Sky Regional Airlines is providing up to 15 daily non-stop return flights between the rejuvenated downtown operation and Montreal Pierre Elliott Trudeau International Airport. Both airlines operate the Bombardier Q400 which is assembled locally in Downsville Toronto. Previously Air Canada operated as Jazz out of the airport but closed the operation in March 2006. Porter Airlines made its inaugural flight in October 2006 and now offers 14 destinations including Boston, Chicago and New York. It has a fleet of 24 aircraft with six more on the way. On the Montreal route currently there is a maximum of 23 outbounds. Air France has launched its new Air France Connect free mobile flight information service. The innovative facility is claimed to be the most extensive in the world offering Air France and KLM passengers across their entire network real time access to changes and irregularities concerning their trip. In addition, the Air France mobile website allows smart-phone users to book flights and manages their bookings on the go. Air France Connect was soft launched in February following in-depth test phases in December and January. Initially available in eight languages, Air France Connect is a courtesy service designed to give up to the minute information to customers. Using the mobile number and email address customers give when booking their ticket, Air France will inform them from 14 days before departure either by phone, text message or email of any cancellation, delay or change of boarding gate or, after take-off, of any delayed baggage delivery. Innovata, seen as an alternative to OAG in terms of global travel data and distribution, has launched a dynamic and interactive route map of the ERA (European Regions Airline Association) member network. The latest map provides users with a range of feature and functionality upgrades including zoom and pan capabilities together with links through to Google maps for all airports featured in the displays. The service is specially configured so that all destinations, direct routes and schedules, are plotted and displayed for users searching and querying the networks and schedules of ERA member airlines. Eurostar has launched a guaranteed boarding service for its flagship Business Premier Class between London and both Brussels and Paris. This means business customers can feel confident that if they arrive late, or even early, for their train they will be able to board another service, without having to join a stand-by queue. The ‘Boarding Guarantee’ is available at Eurostar stations on the same day of travel as the original booking. Wherever possible, customers will be accommodated in Business Premier coaches and where this is not possible, travel will still be guaranteed in either Standard Premier or Standard class. 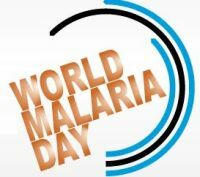 According to new figures from the UK Health Protection Agency (HPA) the number of malaria infections recorded among British residents has increased by nearly 30% over the past two years. The HPA has reported that over the past decade most infections occurred among people who visited West Africa or South Asia and the HPA is warning travellers to heed advice on how to avoid malaria, which is the world's second biggest killer. Eurostar customers and users of both Kings Cross and St Pancras stations, north of central London, will be pleased to know that the St Pancras Renaissance has been formally opened, although Marriot Corporation, the brand owner, insists that it was established in 1873! In every respect it is however a 21st century hotel, the gothic masterpiece a classic 5-star addition to London’s accommodation bank. In the original building 38 very modern suites are provided and a further 207 rooms have been added in a new annexe, Barlow House. 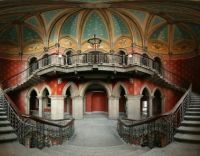 There is a 350-capacity ballroom, swimming pool and spa, plus two bars and two restaurants of great Victorian style and opulence. Wi-fi is limited and chargeable and some guests, or visitors, might find it easier to use the station facility which is free. Wander out through the Old Booking Hall bar, which also gives direct access for rail travellers, and use one of the many reasonably priced cafés. As a general rule AERBT does not report on prices, special prices and special, special prices. There are too many in the market place, and the figure we might settle on prior to our midnight distribution on a Sunday evening could very well change by the time you read the piece on a Monday morning. Malaysia Airlines (MH), with a name for quality, and offering twice daily Boeing 747 flights from Heathrow to its Kuala Lumpur (KL) hub, flies the route without direct competition since British Airways pulled off. However to the Far East and Australasia there is rivalry galore from airlines using Singapore, Bangkok and the Gulf region airports as hubs. The following was published in the IFALPA (International Federation of Airline Pilots' Associations) daily newsletter, and therefore has a travel connection. Why was the racehorse called Bad News? Because bad news travels fast. A £1 fee has been introduced by Belfast International Airport for passengers, who have passed through security checks, wishing to smoke a cigarette before boarding their flight. Or you can take a chance on the length of the various checks and have a smoke for free in a designated area at the front of the terminal building free of charge. However, the airport says the levy has been introduced to offset the cost of building the new smoking area which is situated by the Bar des Voyageurs. Those looking for a calming nicotine fix will be able to slot a £1 coin into a machine that operates the doors of the smoking area. A controversial £1 fee for drivers picking up and dropping off passengers at the terminal was introduced in July 2010. Sierra India X-ray Charlie, one of Air Atlantique’s pair of venerable Douglas DC6 propliners has been finally grounded and turned into what is claimed to be Europe’s, and certainly the UK’s first and only aircraft diner. It is part of the AIRBASE “Living Air Museum” at the airport but has its own entranceway and is open into the evening. The four-engine Santa Monica 1958-built aircraft has a fascinating history and first saw service operating covert flights in South East Asia very much with the backing of the CIA. In 1973 it was back in the US, this time registered to Southern Air Transport where it flew secret missions into Central America. Mike Collett, Chairman of Air Atlantique, eventually purchased the aircraft in 1987 and used it in a variety of cargo roles until 2004 when it totalled just under 45,000hrs. Business Travel Market (BTM) has announced that James Hogan, CEO Etihad, will be the keynote speaker for the opening event, bringing more than 30 years of travel industry expertise to the occasion. For the 2010 event BA’s Willie Walsh held centre stage. Now in its third year, the conference and exhibition for European travel buyers has already announced a number of big names who have committed to this year’s event, which takes place 22 and 23 June at London’s ExCel. 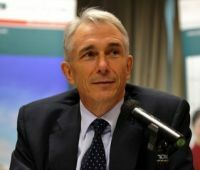 Singapore is to host from 5-7 June 2011 the 67th AGM of the International Air Transport Association, better known as IATA. 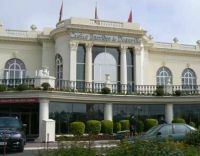 Initially the event was planned to be held in Cairo but events in Egypt earlier this year clearly indicated that a change of venue was required. 230 airlines are members but this does not include some of the largest budget carriers. The 2011 event is likely to be momentous in more than one way with all airlines suffering from the effect of sky-high fuel prices and increased so-called environmental taxation by governments. It will also mark the end of charismatic Italian Giovanni Bisignani’s reign as Director General and CEO, a position he took up in June 2002. Since that time he has completely re-shaped and re-focused the organization. Heathrow is to gain Airbus A380 flights to Kuala Lumpur from next summer when Malaysia Airlines introduces the first of six aircraft on order. They will be configured uniquely in a four-class setup featuring eight individual First Class Suites with a two-seat dining arrangement on the main deck and 23” video screens; 54 Business Class flat bed seats will be on the upper deck in a 2+2+2 arrangement with 17” screens and a bar and split into two cabins, the front one with just 18 passengers; also on the upper deck is a 28-seat Super Economy Class. Malaysia will offer 420 seats in Economy with 10.6” IFE screens, a 32” seat pitch with forward articulation reclining 6” and a width of 17.5”. The layout is 2+4+2 upstairs and 3+4+3 on the main deck. Assuming the low-level storage bins favoured by some A380 operators are fitted if you are booking early on a ML flight always go for the upper deck. Following final certification, the Armenian national carrier Armavia has introduced the new Sukhoi Superjet 100. 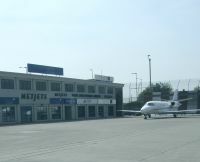 Whilst the maiden flight from the airline’s hub at Yerevan was to Moscow it has already flown a scheduled sector to Venice Marco Polo Airport, the headquarters of Superjet International, a joint company with Finmeccanica, Italy’s second largest industrial conglomerate. The first aircraft is named after the cosmonaut “Yuri Gagarin” and will be joined by a second aeroplane in June. There are currently 17 aircraft in serial production at various stages of completion, including six in the final assembly shop. This year Sukhoi Civil Aircraft Company plans to deliver 13 aircraft in total. If you have not had reason to travel through London City Airport (LCY) in recent times the place in many ways is unrecognisable. A facelift is probably not a strong enough word to describe what Americans would call a remodelling. Since 2006, when Global Infrastructure Partners (GIP) purchased the airport, some £65m has been spent on infrastructure. 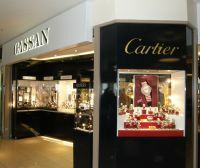 GIP is also the majority owner of Gatwick Airport and in 2008 was joined at LCY by Highstar Capital with a 25% interest. Over the last six months the airport has undergone a dramatic update. Out is the oversized two-storey reception replaced by vastly enlarged user-friendly airside lounge areas on the upper floor. With new lighting and a completely refreshed entrance lobby area the absence of the vast old atrium is not noticed. Decking over was clearly the answer. Following the largely justified complaints by both airline operators and passengers on poor/slow security, LCY now has probably the fastest and most modern x-ray search facilities in the country. 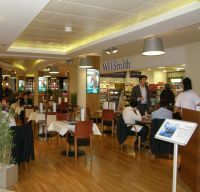 To underline the importance of getting this aspect of the operation right the airports very successful and profitable landside restaurant was ripped out to provide the capability. On Sunday 27 June 1982 Captain Harry Gee of Brymon Airways landed a de Havilland Canada four-engined 50-seat Dash 7 turboprop on Heron Quays in the middle of a redundant wasteland that once had been London’s prosperous West India and Millwall Docks. The event was featured on ITV’s News at Ten that evening. Move on nearly 30 years and today Heron Quays is but a station on the Dockland Light Railway (DLR), towards Woolwich following on from Canary Wharf (complete with commemorative plaque). It is right in the centre of a rejuvenated area that some call City East. 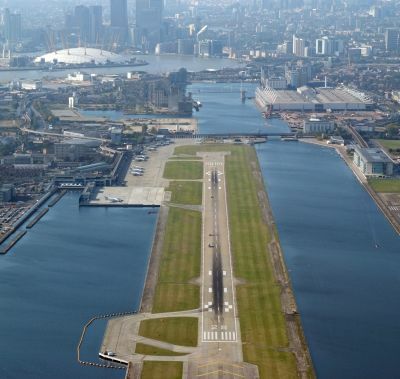 Five miles down river the thriving airport is the incarnation of that symbolic proving flight, and just like City East itself, the outcome of one man’s vision, a quiet civil servant, the late Reg Ward, Chief Executive of the London Dockland Development Corporation. Last year 2.8m passengers passed through the airport and a realistic estimate of 3m for 2011 should be achieved. 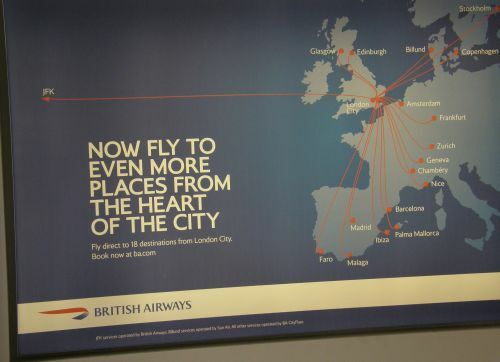 The ratio of passengers is 64% business and 36% leisure, although this year indications are that British Airways growth of summer routes, mainly to the Mediterranean, might tip the balance in favour of the holiday traffic. London City’s seasonal ski services are proving popular too. Interestingly research indicates that two-thirds of passengers originate from London. At Heathrow the balance is inbound suggesting that more work is required in educating continentals of the virtues of London City. 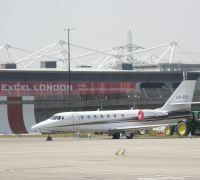 At nearby Excel the annual Business Travel Market works towards the same goal. Getting to these impressive passenger figures has not been easy. 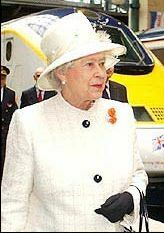 HM The Queen officially opened the airport (named after the City of London School for Girls – not the famous square mile) on 5 November 1987. Whilst the 750m runway length was fine for the Dash 7 that aircraft was clearly not economically viable for a high frequency operation. A scheme stretching the strip to 1199m was finally approved in 1991 allowing in such aircraft as the BAe/AVRO 146, Embraer E series, and even the Airbus A318. The target norm was 100 seats per aircraft. By 2002 improvements had included an aircraft westerly holding point at the start of the runway enabling movements to be pushed up to 30 per hour if needed. From the early days the local road infrastructure has improved immensely but perhaps most important of all enhancements was the arrival in 2005 of the Dockland Light Railway (DLR), with services to The Bank and also under the Thames to North Kent. A link to Stratford International and the Queen Elizabeth Olympic Park will be opened later this year. The DLR is now used by 50% of passengers. A recent appointment at the airport, and the first in this capacity, is that of Matthew Hall, as Chief Commercial Officer. He is responsible for airline development, together with the revenue generators, typically the various food outlets within the complex, plus the duty free, and also the car park operations. Matthew has a diversified background in aviation with extensive experience in sales and marketing. He held the position of Vice President, Airline & Supplier Business Development, for Travelport and was previously Managing Director, Sales and Marketing EMEA, for American Airlines. One of his first tasks was to bring in SSP, catering experts, to rejuvenate completely the existing food operations. Based at Weybridge, Surrey, SSP are active in 30 countries and operate in 140 airports. SSP will be launching two new cafes, due to begin trading by the summer, and refurbishing three existing outlets over the summer. Service innovation and technology is at the core of SSP’s new offer. Passengers will be able to order food and pre-book dining prior to departure from staff equipped with hand-held terminals located throughout the terminal speeding up delivery. This is already in evidence. Free wi-fi is provided throughout the terminal, a useful convenience. Zurich remains as London City’s busiest route with 404,000 passengers last year, a rise of 7.4%, followed by Amsterdam with 367,000, a 6% rise. Edinburgh is the domestic winner with 335,000 passengers and up to 14 frequencies a day. For some years Managing Director Richard Gooding had a ‘wish list’ of target airports to pair with. By way of closing a mention must be made of London City Airport’s impressive jet centre. Business jets and turboprops now make up 10% of the airport’s movements, the facilities themselves top notch and very private. The approach is straight off the main airport roundabout and passengers can easily be at Canary Wharf within 15 minutes of actually landing. 2012 is expected to be a memorable year for London City. It is the nearest airport to the Olympic Stadium, less than five miles away by the shortest (torturous) route. The DLR will go direct. Whether you are a private passenger or an executive jet operator you need to get your bookings in early. Everything will be at a premium. Following good progress with the 787 certification programme Boeing has confirmed that a second passenger 747-8 Intercontinental has made its maiden flight. During the inaugural sortie the aircraft reached an altitude of 28,000 feet (8534m) and airspeed of 275 knots, or about 316 miles (509km) per hour. RC021 will be used primarily for testing the various interior systems that will be on the Intercontinental, such as heating, venting and air conditioning, smoke detection and galleys. In addition, Boeing will conduct fuel consumption and function and reliability tests on the aeroplane. The 747-8I programme will perform approximately 600 hours of flight testing. Not only is the new aircraft 18ft longer than the series 400, it will also be instantly recognisable with its larger windows, similar to those in the 777. The interior is very much 787. 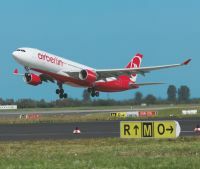 Air Berlin has introduced a four times per week service from Berlin to New York. Initially the airline uses the existing Tegel Airport but in June 2012 it will transfer operations to the rebuilt Schoenefeld, renamed Brandenburg International. At New York, JFK is the entry point. A two-class Airbus A330 is used for nine-hour flights. 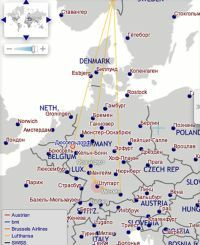 Air Berlin competes with Delta’s daily service to Kennedy, whilst Continental also serves the German capital, but from Newark Airport in New Jersey. Airports around the world from time to time like to change their name for what is normally called a “marketing challenge”. Sometimes it works and sometimes it is just a question of highjacking a name. When Doncaster evolved and called itself “Robin Hood”, East Midlands, in what seemed a fit of pique, added Nottingham (and Derby plus Leicester) plus International to the title. It is now back as East Midlands Airport (EMA). Aéroport de Deauville St Gatien is now to be called Aéroport de Deauville-Normandie. This official name change was approved by the Conseil Supérieur pour l’Infrastructure Aérienne (CSINA), a committee under the aegis of the French Civil Aviation Authority. After the euphoria of a London floatation at the end of last year, which saw £66m raised at an offer price of 295p, Flybe investors are now staring at a paper loss with the shares standing at 176p as the London Stock Exchange closed on Friday evening. Late last week the airline suggested that profits for the year until 31 March would be around £20m as against the previous 12 months’ £36m. Full figures will be available in June. 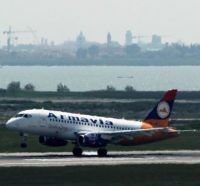 The airline would not comment on rumours that it might dispose of some aircraft noting that all airlines are constantly re-assessing the number of aeroplanes required. The carrier is the leader in the UK domestic market with 27% of total passengers from which it derives 85% of its total income. To put matters in perspective IAG, owner of British Airways and Iberia, cut first-quarter losses by 83% to €47m (£42m) pre-tax. Shares stood at £254, a 16% increase since the beginning of the year. Gateshead Quays Jurys Inn is now preparing for a summer opening 2011. For those whose geography of the Newcastle region is weak Gateshead Quays is directly across the Tyne from Newcastle city centre via the unique Millennium tilting bridge. 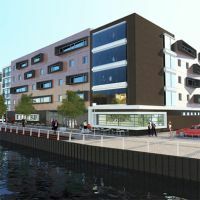 The highly anticipated hotel will be home to the first extensive green roof of its size in the North East leading the way for future properties to contribute positively to environmental issues in the local area. The ecologically responsible living sedum roof is formed of living plants which improves the thermal insulation of the building, helps support the local ecology and aids biodiversity by providing a healthy habitat for indigenous flora and fauna. Using plant life instead of slate or other traditional roofing materials, the roof will not only look attractive, it will also reduce the risk of flood by retaining a proportion of the annual rainfall and reducing rainwater run-off. Eastern Airways, which is developing a French network of services from its base in Dijon, will launch a new summer service from Southampton to the eastern France airport. Flights will operate from Monday 6 June, and also on a Friday and Sunday using a pressurised 29-seat Jetstream 41 aircraft. 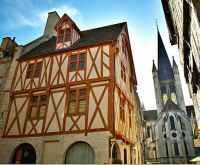 The city of Dijon is the capital of the Côte d’Or and Bourgogne region and industry includes manufacturing, automobile, electronics, machinery and pharmaceuticals. The region has some of the country’s best wine producing vineyards, and of course Dijon is famous for its mustard. 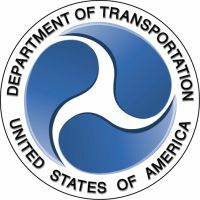 The US Department of Transportation (DOT) has finalised new regulations aimed at further strengthening "passenger protections," including extending the tarmac delay rule in place for US domestic airlines to foreign carriers' Stateside operations and increasing required compensation for involuntarily bumped passengers. The wide-ranging statute boosts the minimum compensation offered to passengers involuntarily bumped from flights from US$400/US$800 to US$650/US$1,300 and establishes a formula that will see payments rise automatically with inflation. 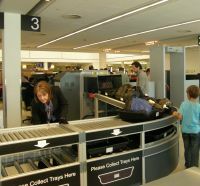 It requires airlines to refund checked baggage fees if bags are lost or delayed, prohibits price increases after a ticket is purchased and sets new requirements for advertising fares online. Will this rule cross the Atlantic where controversy is formulating regarding some airlines disguising the bottom line fare? Perhaps the most controversial directive is one that permits customers to hold reservations at the quoted fare without payment, or cancel without penalty, for at least 24 hours after the reservation is made. A 4x4 With Abundant Style! I am beginning to form the opinion that some of the 4x4 and Sports Utility Vehicles (SUV) I see on the road look as dated as a dinosaur. Boxy in shape with gargantuan bodies that command a great deal of road space without being generous on interior space. Time for something a bit easier on the eye and a lot more sensible I suggest? Enter the Infiniti FX, which I hasten to add I have been testing in 3.0-litre turbo diesel form rather than either the 3.7-litre V6 or the 5.0-litre V8 petrol fuelled versions, which brings style and culture to a class of vehicle that is the domain of the well-heeled in this era of supercharged fuel price hikes. This newcomer to the UK market, though well established in other countries including the USA, has not only thrown down the gauntlet to the established contenders in the premium car sector but with the FX range has decisively demonstrated that it is possible to create a really stylish looking vehicle that is also fit for purpose in so far as interior space and comfort when related to overall dimensions are taken into consideration. The FX DNA is extensively long, this car being based on a previous version that happened before Infiniti set up its remarkable 5-star sales programme in the UK, thus ensuring that today’s product is more than a competent performer, bristling with technical innovation to ensure a pleasingly memorable experience for those fortunate enough to drive an example. The FX projects a luxury class SUV, furnished to exacting standards with fine detailing, a bespoke vehicle where, just like a top class tailor’s service, the customer can create the car to their individual taste, not just equipment but trim, colour and so on. I doubt if there will be two identical examples on the road. As the luxury Nissan brand, Infiniti benefits from the massive resources of the Nissan-Renault Alliance, exemplified by the very fine 3.0-litre V6 turbo diesel engine drawn from Renault but extensively revised for the greater all round efficiency and refinement necessary to compete on equal terms with the better known players in the market. Fit this 235 bhp engine to a selectable (paddle shift) 7-speed automatic gearbox and send most of its power to the rear wheels and the result is an exacting and enjoyable driving car, very close to the top levels of performance refinement demanded at this level. Top end performance is a claimed 132 mph with 62 mph (100 kph) achieved in a competitive 8.3 seconds while a combined fuel consumption figure of 31.4 mpg and a C02 figure of 238 g/km is about what is expected, though a bit of move forward for this type of vehicle. This car allows you to be lazy and let the automatic transmission do all the work. You can play with the paddle shifts and appreciate the power and performance, enjoy the tidy handling, easy parking (there’s a rear view camera and audible parking warning), the impressive road holding (assisted by a continuous damping control system), the light yet sensitive steering and the assurance of an all disc braking system supported by all the modern aids. Other aids include departure lane warning and prevention, frontal collision warning, intelligent brake assist, Bi-Xenon adaptive cornering headlights and, for that slight nudge perhaps, a scratch shield self-repairing paint! I enjoyed using the powered steering column and powered memory seat adjustment to create a very satisfactory driving position. Several times I finished a journey and simply sat for a while enjoying the comfort and the charismatic ambience and luxury (including heated and ventilated front seats) of this rather special car. A really comfortable five-seat car with an abundance of luggage capacity, the standard equipment package was sufficiently comprehensive that there were no extras on the car. The touch screen/voice control satellite navigation system that includes the Michelin Green Guide, a 10GB music box, fixed speed camera warning (heralded by a bugle call! ), the iPod/USB connection and the Bose 11-speaker sound system all ‘thrown in’. Lifestyle enthusiasts will also probably be attracted to the darkened privacy glass, the large electrically powered glass sunroof and the welcome light facility. 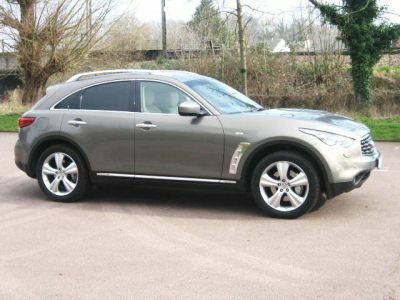 The FX has accounted for up to 55% of Infiniti UK sales, though the variety of models has rapidly grown, but for those shopping for a seriously classy SUV that for looks and probably a number of other specific qualities is ahead of the game, then log into Infiniti and experience the product and the unique sales and support system this brand has to offer. *Rivals include: BMW X5, Range Rover, Lexus 450h, Audi Q5. Nine years on and Honda is still improving on it high scoring, high selling Jazz hatch back range. Just launched are revised and improved versions of the conventional small petrol-engine models (no diesels by the way) and, importantly, the first Hybrid powered Jazz that calls on the excellent package from the larger bodied Honda Insight. Honda has also brought back a CVT (Constant Variable Transmission) automatic gearbox that works responsively, seamlessly and smoothly with the hybrid power unit. Obviously, under hard acceleration with both power sources delivering, there is a degree of engine noise, but under normal driving this car is uncannily silent, especially when stationary when all power is at rest. Some of that running silence is also, I suspect, attributable to the extensively revised suspension systems that have been introduced across the entire Jazz range – I certainly found the entry level 1.2 petrol version was also remarkably quiet yet a willing performer with some encouraging 50+ mpg fuel consumption figures being indicated on the fascia info panel.